If you are struggling in today's economy, it may seem like building the house of your dreams is out of the question. My husband and I thought so, too! But when we decided to stop renting and looked into buying a home, we realized we could build for the same price and get more of what we wanted in a custom house. Plan your house with the future in mind. Design with the an eye for future changes. This is key. Choose a house plan that you love, but consider future options: Is it possible to add on later? Can you add a second story in five years? 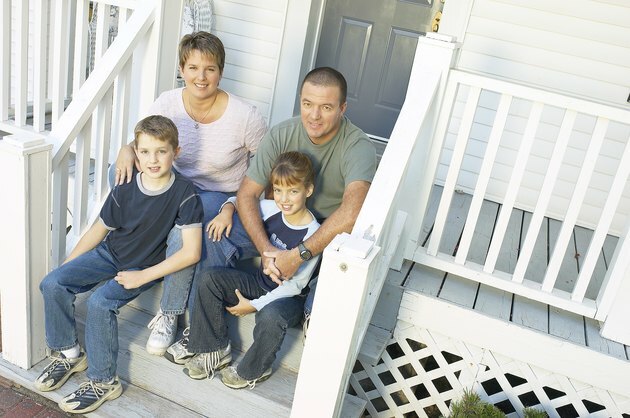 Porches can also be very expensive, and it might be easier to add one in the future. Your builder will be able to help in this area and knows what can be changed cost-effectively. Lower the square footage. This is an easy money saver when you are building a house, and it won't necessarily be a huge sacrifice. Many formal dining rooms aren't used very often, and large bedrooms can be wasted space if they aren't used for much more than sleeping. Stick with an open floor plan and consider not having vaulted ceilings. These can make a space seem less cozy and raise your energy bill. Splurge in some areas; save in others. Make a list of a few things you can't live without in your new home, then decide what other things you can save money on. For example, do you have to have hardwood floors, or would laminate or engineered wood work? Are you dying to have granite countertops, or would something like Corian or laminate do the trick? Keep in mind, these things can be upgraded at a later date. Using less trim throughout the house can also cut costs. Enlist help from people you know and other personal contacts.Think back to anyone you might have helped out in the past. Do you know anyone in home construction who could cut you a deal? My husband and I lucked out and were able to have our dirt work, slab, and septic system done by some of my dad's clients. My cousin built our carport, and our family helped with the clean up project, saving us $4,000. Add personality to a basic plan. Finally, and most importantly, add character. This can be done by painting each room a color other than beige or white and by searching architectural salvage warehouses and antique stores for pieces that add personal style to your home. This is also the most exciting part of all. Spend time rummaging through magazines and tearing out pages of things you like, then put them together to make a project portfolio. What Is the Roof Pitch for a Ranch House?